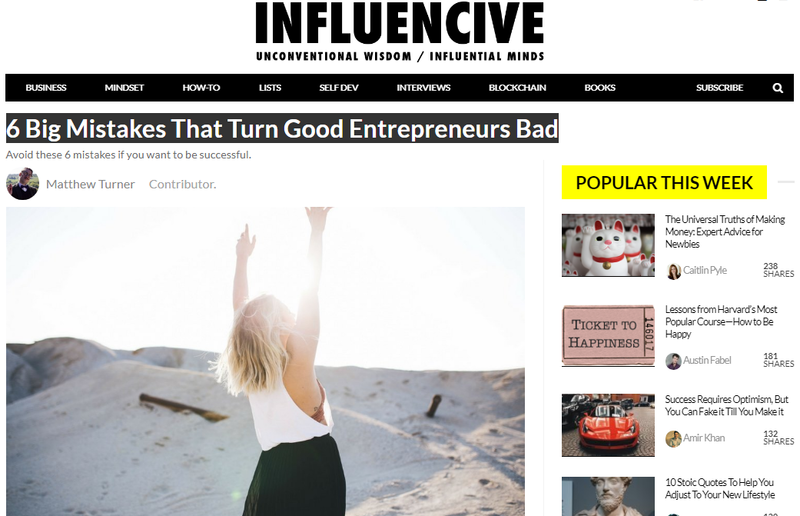 I recently published an article on Influencive.com where I focus on six big mistakes that turn good entrepreneurs bad. I wanted to tell you about this post here, and if you like what you see, you may like to read the rest. Simply put, you want to earn more by working less. You want to make the most out of this (one) life you’re given, and you want to fulfill your potential and become a true success story. What if I told you this was possible, and that it’s your mistakes that play a fundamental role. Or more importantly, the type of mistakes you make, and the ones you DO NOT make.